Notes:Worldstock highly values education and understands the important role it plays in development. In accordance with that belief, between 2005 and 2007, Worldstock helped build 26 school across the Middle East, Africa, and Asia. Many of the schools were built in areas that have served some of the most underprivileged communities in the world. Furthermore, several of the schools were built with a revenue generating feature, like chicken coops or an internet café, which allows the schools to be more self-sustaining. Notes: Nepal is a country located in the heart of the Himalayan mountain range with a population of approximately 28 million. Of that population, it is estimated that roughly 25 percent live below the national poverty line. To create employment opportunities, Worldstock helped build a business training center. The center included a workshop, where traditional jewelry could be made, as well as retail space. 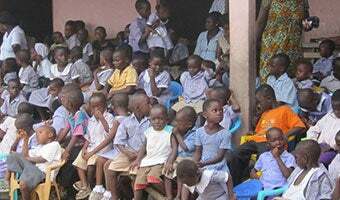 Notes: It is estimated that there are over 250,000 people living with HIV/AIDS in Ghana and roughly 150,000 children orphaned by the disease. In an effort to assist those children, Worldstock participated in the construction of an orphanage for children impacted by the disease. Upon completion of the construction, the facility included dormitories for 25 children, 25 acres of cultivated land to help offset food costs, and self-sustaining chicken coops. 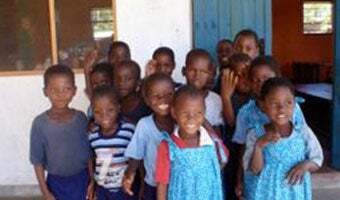 Overall, the project was designed to serve roughly 175 orphans: 25 living at the orphanage and about 150 who live in a nearby neighborhood and receive support from the orphanage. Notes: Monrovia, the capital city of Liberia, has a population of approximately 1.5 million. Of that number, roughly two-thirds of the population does not have access to proper water and sanitation. Improper sanitation can have a severe impact on an individual's health and on a nation's ability to develop. To help combat this problem, Worldstock participated in a pilot project to improve sanitation systems in impoverished Monrovian communities by developing separate areas for men and women to use toilets and showers. The program is also designed to be self-sufficient by generating enough income to cover washroom maintenance costs and employee salaries. 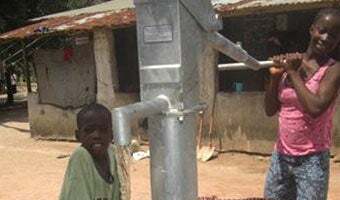 Worldstock also financed the construction of two wells in one of Monrovia's urban slums to provide fresh water to areas lacking access to that basic necessity. 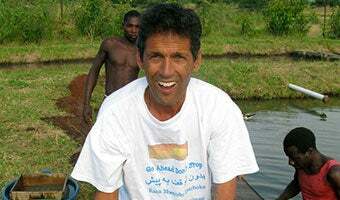 Notes: Malawi is a landlocked, developing nation with a quickly expanding population. As is the case in many developing countries, a large proportion of Malawi's population survives on subsistence farming. Poverty is prevalent across the country, but it is especially prevalent in rural communities. To help the people of Malawi, Worldstock funded the expansion of a Solace Fish Farm in a rural community near Mangochi. The goal of this expansion was to increase the accessibility of food in the region as well as provide needed jobs. After the expansion, Solace Fish Farm was one of the highest producing fish farms in the country.